JADE is a legal research platform full of legal information that lets you organise legal information using your own tags. Evernote is a powerful notetaking app that lets you organise content with tags. 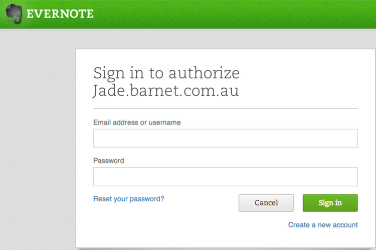 JADE lets you connect with Evernote – so that you can access JADE content offline, on the bus or in Court. 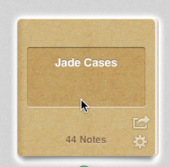 Your tags in JADE also get sent to Evernote when you place an item in Evernote. 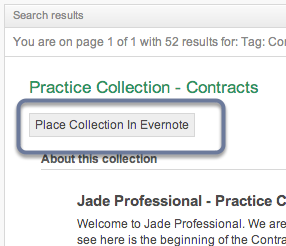 Once you have located your case, select “Place in Evernote” from the “Add to Briefcase” drop-down list. 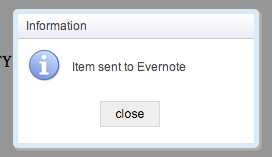 Setting up an Evernote account is quick and easy. Let Evernote know what you are doing. Enter your email addess to link your JADE and Evernote accounts. Evernote will create a Notebook which will store your cases. 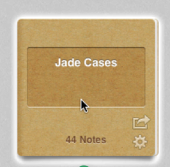 Whenever you upload to Evernote from JADE, your cases will be stored in this folder. Selecting “Place Collection in Evernote” will upload the collection into your Evernote Account. Evernote will create different Notebooks to serve as a filing system. You can access your Notebooks through any device on which you have Evernote.